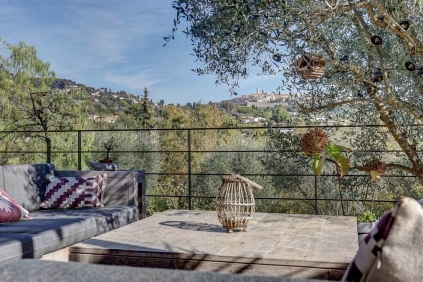 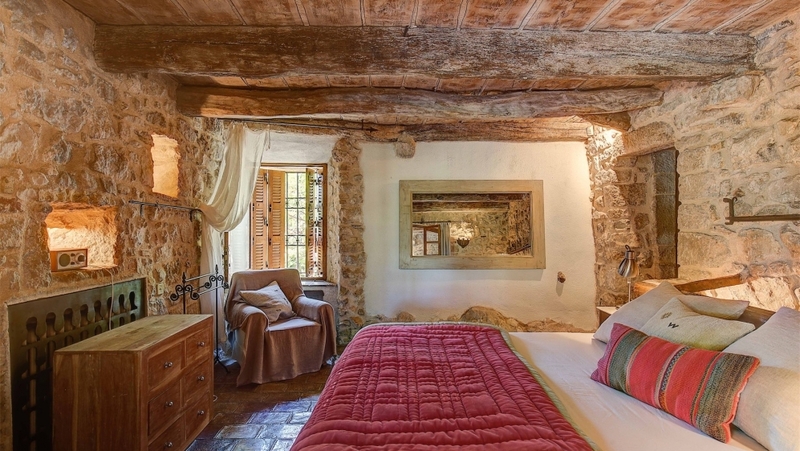 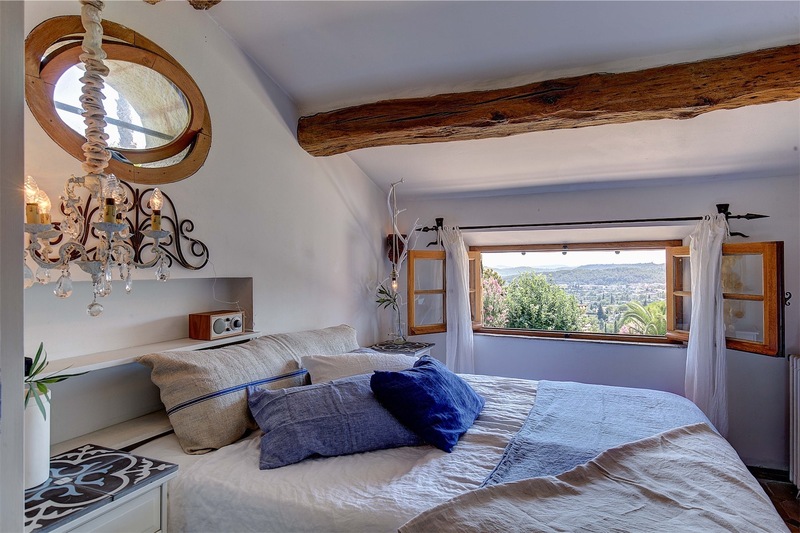 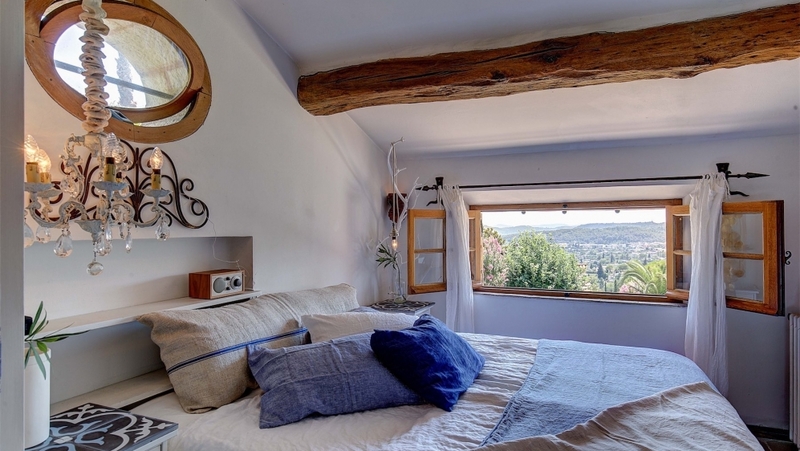 Charming authentic farmhouse dated 18th century situated walking distance of the historic village of Saint Paul de Vence enjoying panoramic views (facing southwest) up to the sea. 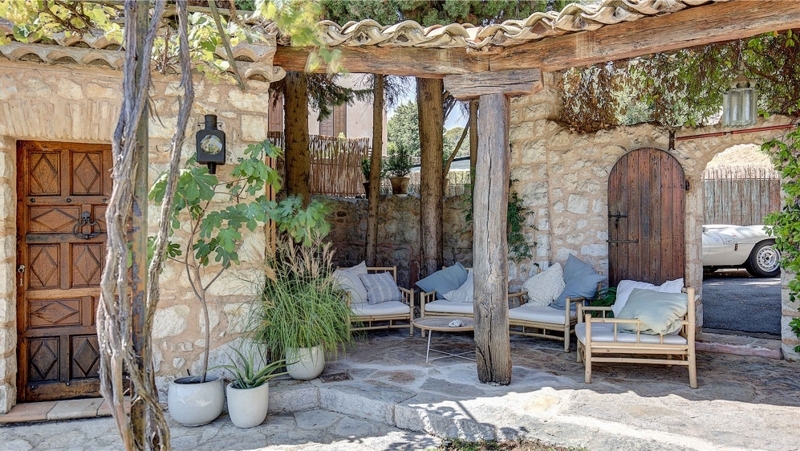 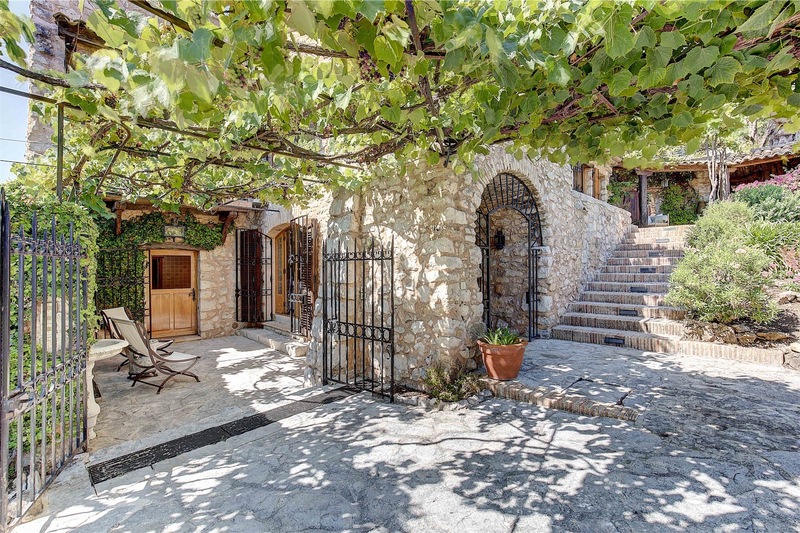 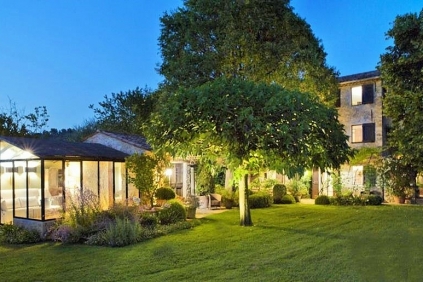 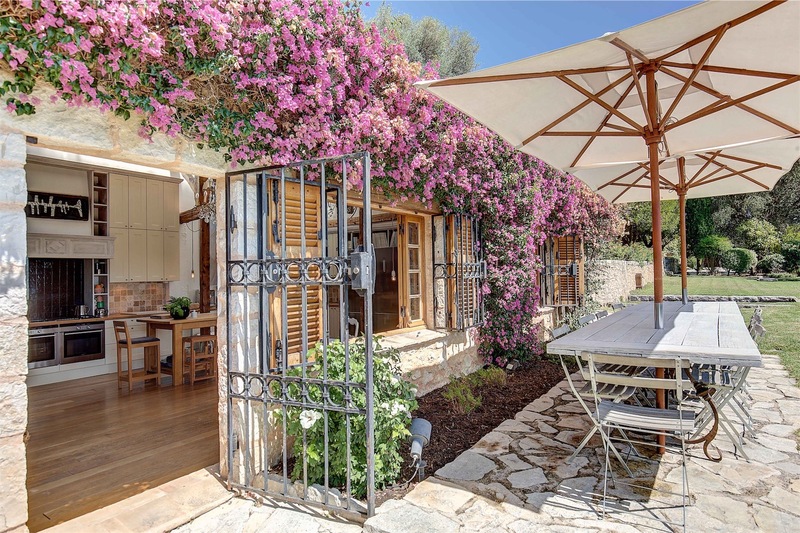 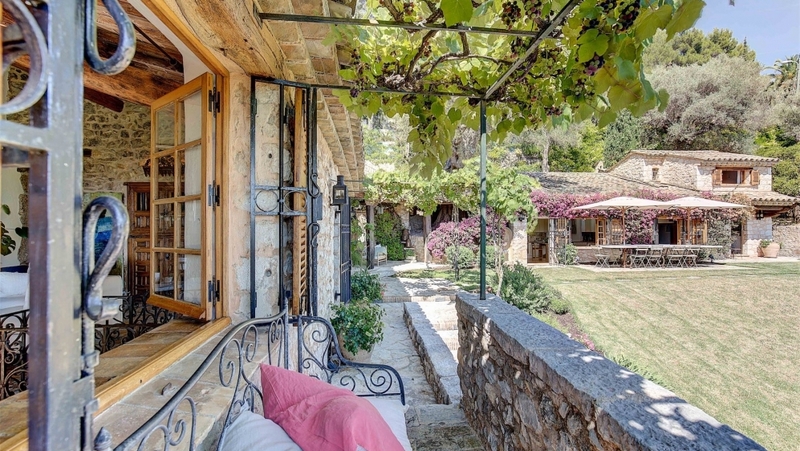 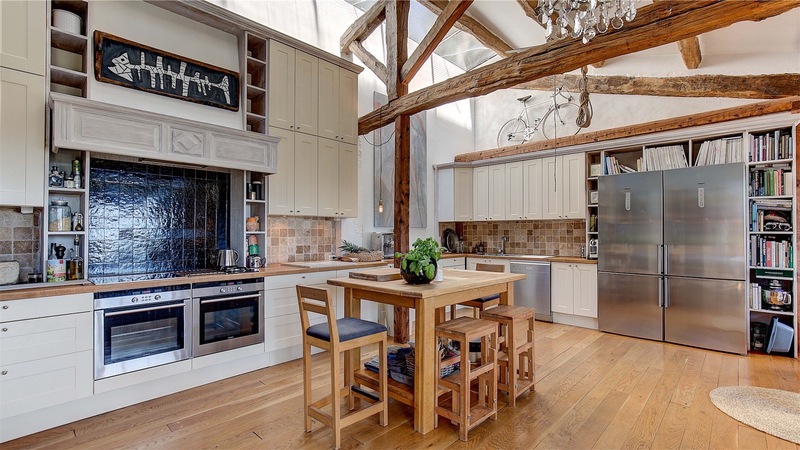 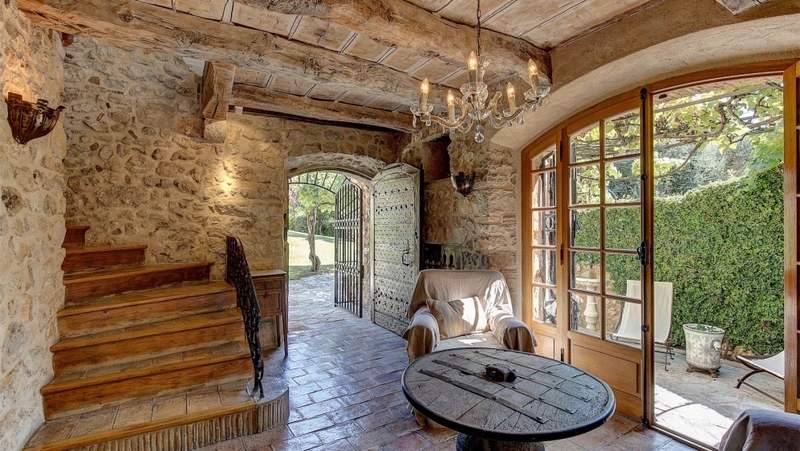 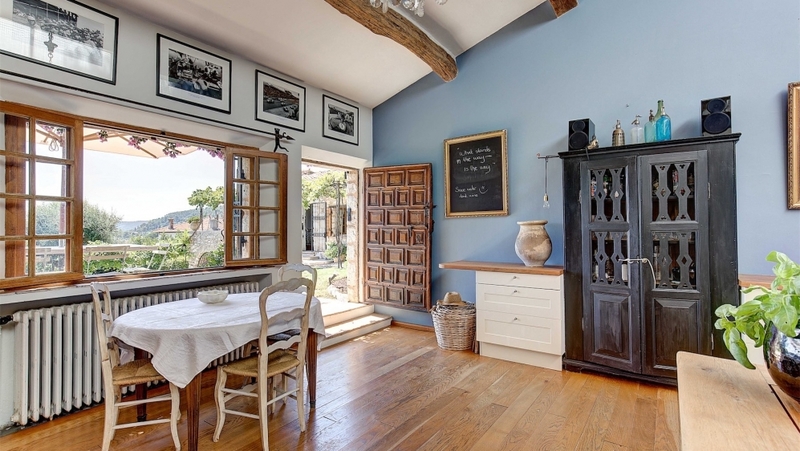 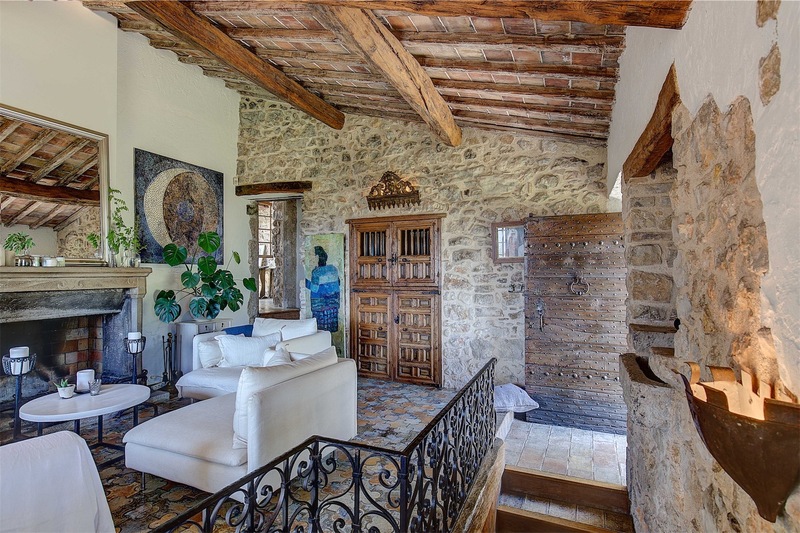 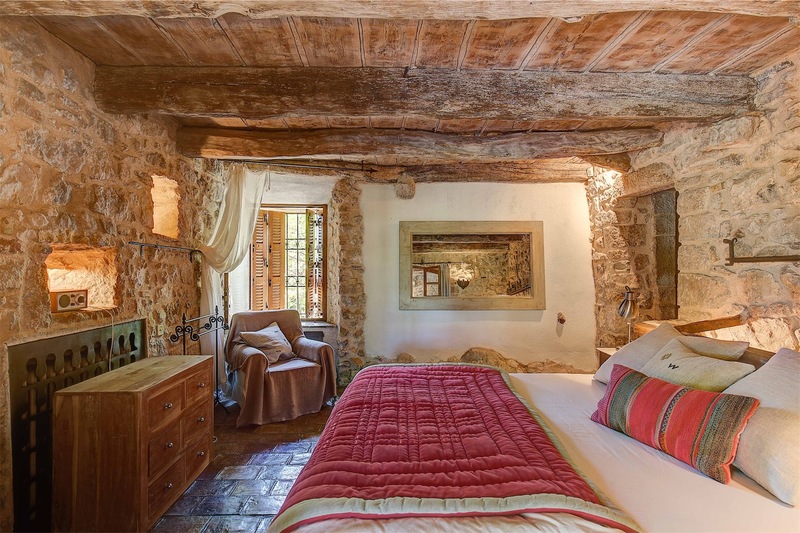 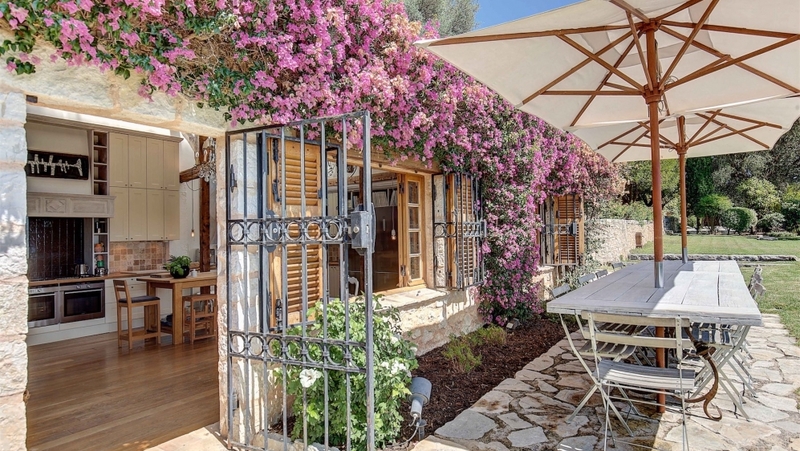 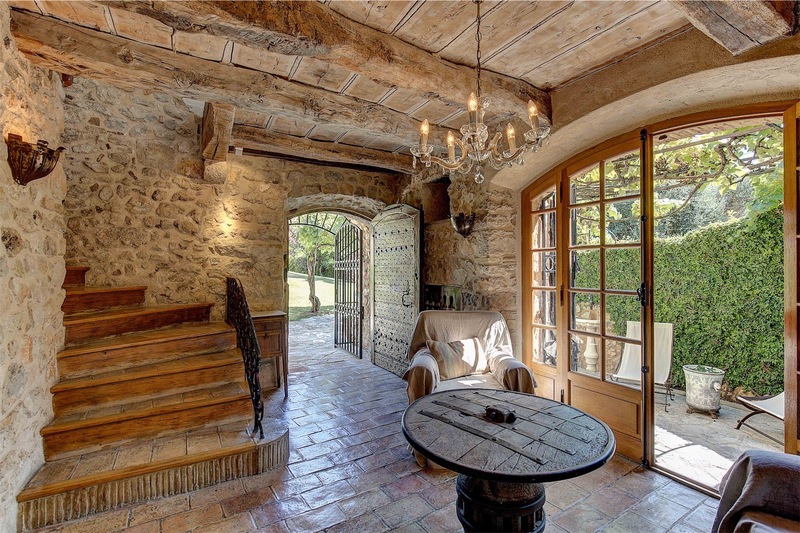 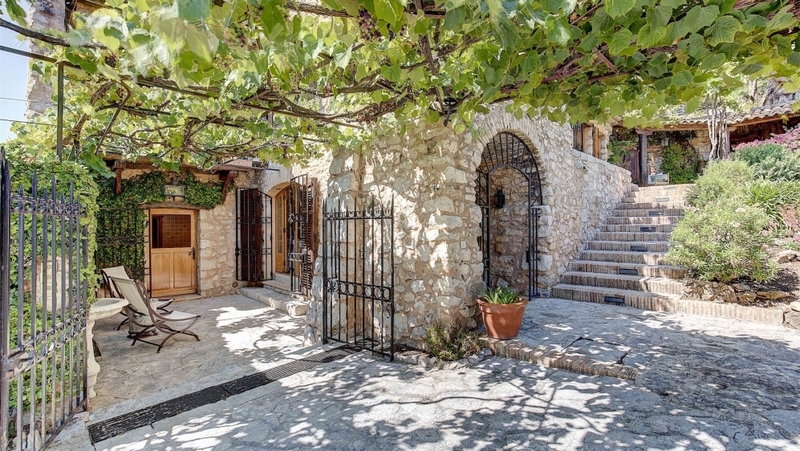 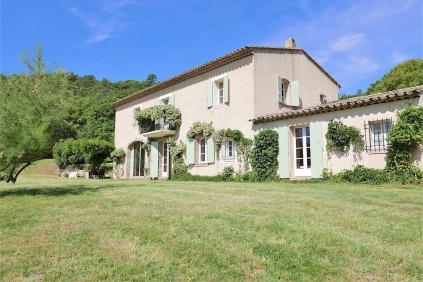 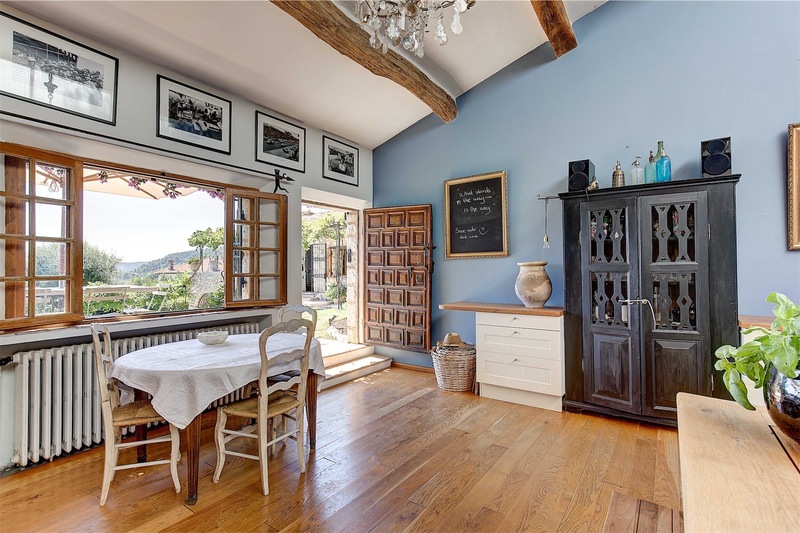 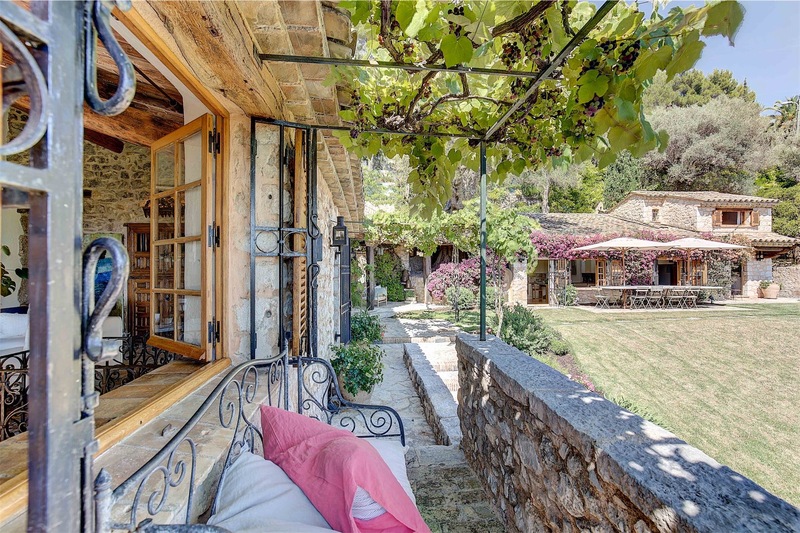 This very rare and attractive example of provençal architecture has been carefully expanded in 1965 and since renovated with authentic materials and highlighting many original features. 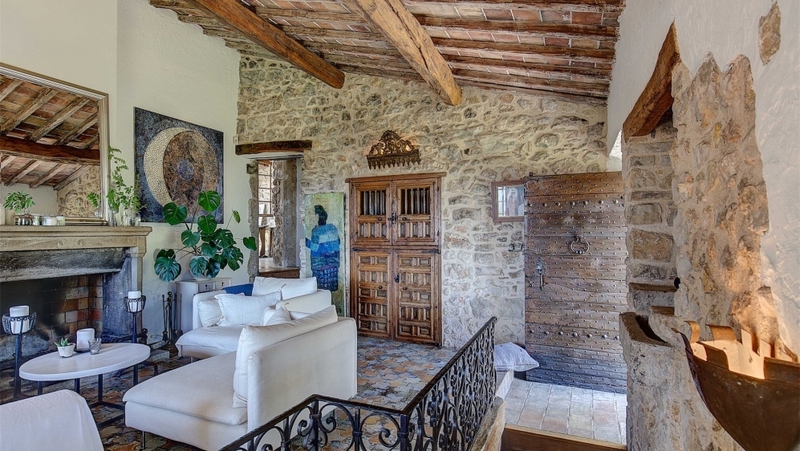 The house consists of a living room with fireplace, a fantastic spacious high-celling kitchen with dining area, five suites and a double bedroom- office. 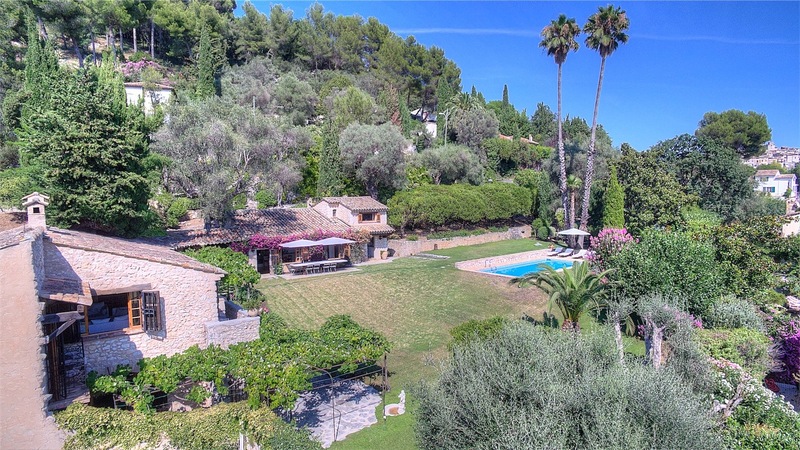 Beautiful flat and manicured garden planted with olive trees, citrus and palm trees. 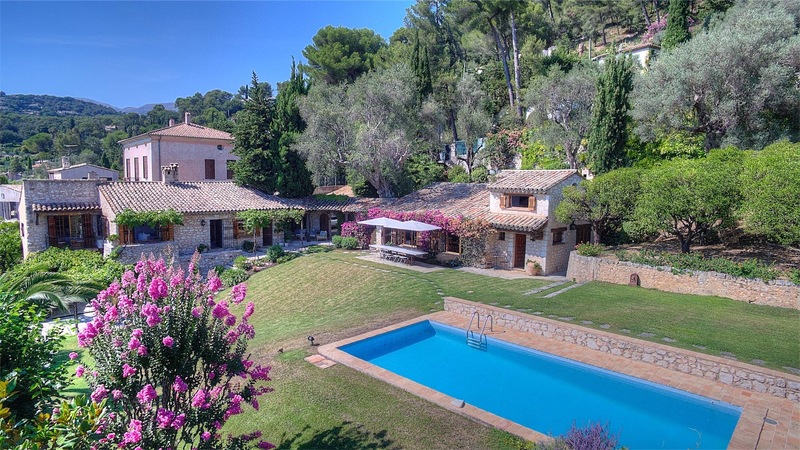 Lovely pool area with several terraces. 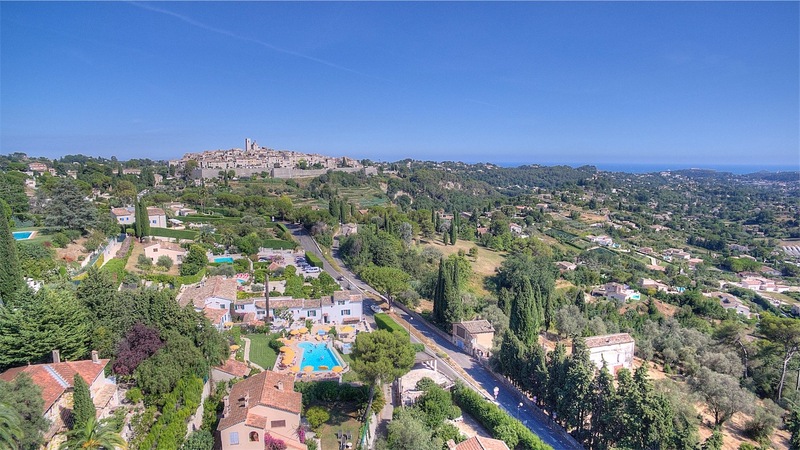 Automatic watering, amazing garden lighting, sauna, wine cellar and many shaded parking areas (4 à 5 cars).